Leave it open to interpretation with this gallery wrapped wall art. 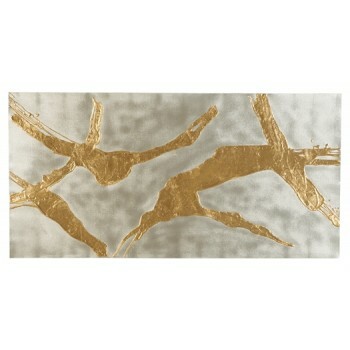 Swathes of goldtone over a silvertone background capture the eye and the imagination. Hand-painted texturing elevates this high-end art work all the more, ensuring each piece is one of a kind.